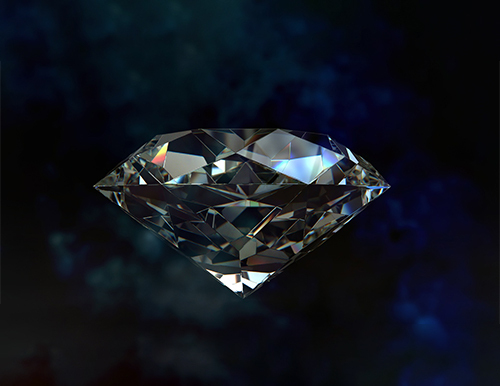 GLITZKOIN intends to differentiate and pioneer towards the future growth of the diamond industry by leveraging the advantages of blockchain technology. GLITZKOIN is poised to be a leader in the diamond blockchain space by assembling professionals from the diamond industry and partnering them with technical experts in blockchain and crypto currencies fields. This will set the foundation for the future of the diamond supply chain. There are several stakeholders in the diamond industry today. They include mining companies, diamond polishers, certification authorities, retail sellers and consumers. What has been lacking in this supply chain is a consistent platform from which all parties share a transparent, efficient and authentic database. GLITZKOIN will modernize the diamond supply chain and make it more efficient for all involved parties. By including all stakeholders onto the same platform, we will facilitate the ease and efficiency of transactions resulting in cost reduction for all. GLITZKOIN’s propriety blockchain has integrated privacy options configured specifically for the diamond industry. Transparency is secured by constructing a hybrid technical model combining public and private blockchains. The result is the implementation of a high security public blockchain coupled with permission controls in private blockchains. This allows all parties involved to maximize levels of transparency, security and efficiency and provides a smoother supply operation. Security, privacy and data integrity are at the core of the GLITZKOIN diamond blockchain . Use is made of Zk-snarks and Bullet Proof to protect transaction data and ensure privacy. This means transaction data that could include, proprietary knowledge or trade secrets remain encrypted and obscured from competitors or any other party intending to pilfer that or similar information. GLITZKOIN solutions are user friendly, require little technical knowledge and will integrate easily into existing business processes and applications. GLITZKOIN’s supply chain identity and network security is completely protected and based on the federated byzantine agreement system to run network governance protocol. Finally, third party applications will enable parties to build customized and integrated supply chain applications with data privacy. The GLITZKOIN project assembles the finest talent in blockchain technology and includes, diamond professionals with decades of expertise in all aspects of the diamond industry. Besides implementing a crypto currency, the project also includes the setup of a robust diamond trading platform on the reputed Stellar blockchain.